That’s how Karl Meltzer responded via email when I asked if he would have a chat with me on a Monday morning earlier this month. I think that simple response should tell you a lot about ‘Speedgoat Karl,’ as he’s called, who’s finished almost eighty 100-mile races to date. An introduction seems superfluous in the case of Meltzer. Anyone who’s shown even a cursory interest in the sport over the last two decades must have come across his name. 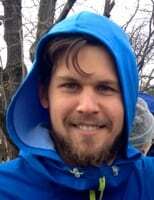 Heck, the guy has won UltraRunning’s Ultrarunner of the Year award (2006) while finishing second on two other occasions (2007 and 2009), he’s won the so-called “Oscars of the outdoors” known as the Everest Award (2006), he’s won more 100-mile races than anyone, ever (40), and he’s won more 100-mile races in a calendar year than anyone, ever (six in 2006). Amazingly, that laundry list of achievements overlooks what might be his most impressive feat over his 20-year career. 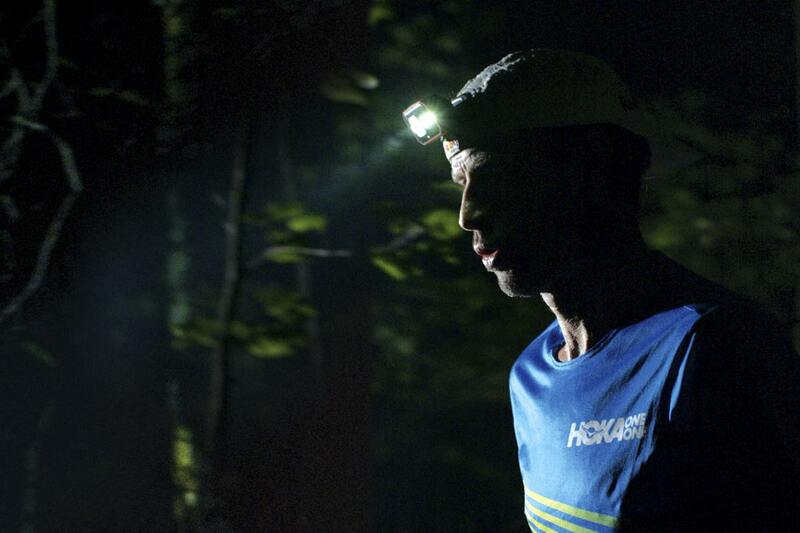 In 2016, at the age of 47, he completed the 2,190-mile Appalachian Trail in a then-fastest supported speed record of 45 days, 22 hours, and 38 minutes. I spoke with Meltzer for a full 75 minutes that Monday morning. As you might imagine, a career of that magnitude produces story after story. There were more than a few sentences that started roughly in this fashion while we spoke. There were also a few sentences that ended with, “There’s a story about that, too.” I imagine that I’m not alone in thinking that his is a career worth hearing about. “You’ll be able to read about all this stuff soon. I’m writing a book—it’s written but I need to edit the thing. It’ll be out before too long,” Meltzer assured me. His stories, unsurprisingly, largely involve running—a race, or his training, or a conversation he had with another runner about running—but each was as captivating as the next, and they almost always ended with an insight applicable far beyond the limited realm of running. In a lot of ways, Meltzer’s stories about running are a catalyst for profound insights on life and how to live it. For example, I asked him why he still races 100 milers. During our conversation, he spoke at length about moving to Utah as a young man and snow skiing 100 days a year. He talked about his first foray into mountain and ultrarunning during his summers in the Wasatch Mountains. He gave play-by-play reports of 100-mile races he’s won over the years, providing surprisingly detailed recollections and offering critical assessments on why the races played out as they did. With his level of knowledge and insight, he speaks of 100-mile races like a history professor turned political pundit. In fact, Meltzer can break down a 100-mile race so mechanically and simply that he makes this difficult task seem like nothing more than a mental exercise. There’s still a long way to go? That’s the whole point. You’re hungry or tired or thirsty? Eat, take some caffeine, chug some water. The weather’s gone bad? That’s beside the point. Meltzer takes the obviously profound challenge of running 100 miles and boils it down to tangible, mundane choices that you must constantly make at the right time throughout the race. If Meltzer has talked the talk in this way, then he’s also walked the walk. Just consider that he won his first 100-mile race in 1998 and has won at least one such race every year since 2000. That’s 18-straight years with a 100-mile win. That number of 100-mile wins over any period of time would be remarkable on its own, but the consistency over time is what’s most difficult to comprehend. The sport of ultrarunning seems inherently designed to prohibit durability and longevity, given the considerable distances an ultrarunner covers and the frequency with which ultrarunners race. Meltzer, however, has proven a maverick, seeming to defy the laws of our sport. How has he amassed such considerable success for so long? It began by making a conscious effort to focus on, and master, a single type of event. “I think one of the smartest moves I’ve ever done—when I was younger, in 2001, when I won Hardrock, I said to myself, Maybe I can make a career at this. And I decided to focus on the 100[-mile distance]. I was about 34 or 35 [years old] then. I found my focus, I found my niche. I focused on winning a lot of hundreds,” Meltzer explains. Meltzer gets itchy to run when he wakes up because he just loves to run. He’s been running, although to a much lesser degree before his thirties, since the age of 10. Without that foundational desire to get out the door and run every day, it seems impossible that Meltzer could have racked up so many accolades in a 20-year span. But the desire to run, by itself, isn’t enough for success. It’s Meltzer’s mental fortitude, and his capacity to absorb information and use it, that’s led to intelligent training and racing, and the physical and mental endurance required for decades-long prosperity in a sport that demands both. It also doesn’t hurt that Meltzer loves to win. “I love to run, that’s the easy part. I always tell myself that I can bounce back, it’s just a matter of wanting to do it in your head. And I treat [ultrarunning] as a profession, as a job. Do I want to get fired from my job or quit my job or keep going? There’s still a little of that in my head. I kind of feel like I have to keep doing what I love to do,” says Meltzer. Meltzer constantly referenced his lessons learned during our conversation. He talked about nutrition and the importance of consuming simple calories, which he learned quickly, and about pacing appropriately, which he learned less quickly, and about the mentality that’s most appropriate when embarking on a 15-plus hour effort, which he’s mastered. I asked him if he’s still learning and if that’s what keeps him competing at age 50. Part of Meltzer’s learning process has included failure. Just last year he dropped from the Hardrock 100. In 2008, he attempted a speed record on the Appalachian Trail. He clocked a then-fourth-fastest time but failed to achieve the speed record. A full six years later, in 2014, he returned to the 2,000-plus mile trail. After navigating more than 1,000 miles, he was slightly off the speed record and ended his attempt. Then he returned again, two years later, in 2016, for a third attempt, when he finally set a new speed record. If there’s a single thing that’s helped Meltzer move past his failures, it’s his attitude. If there are certain factors on the day that keep you from finishing, so what? You do the best that you can that day. Maybe that means you won’t finish but you’ll have another race, another day to succeed. Pressure from social media or people in the sport, Meltzer emphasized, should be overlooked. As he walked me through a few of his DNFs over the years, he kept coming back to the same point: this is my life, this is what I want to do, I do it because I love it—why should I care what other people think? Meltzer is a guy who has always bounced back, and who has always tried to perform at his best, no matter if his best has changed over time. 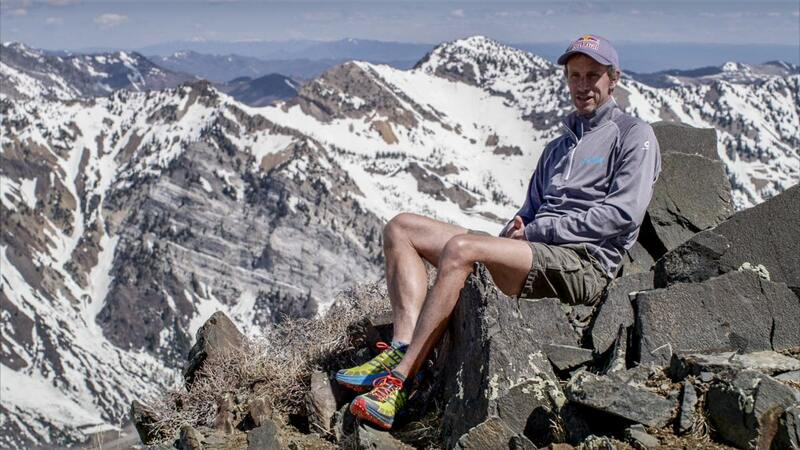 During his thirties and early forties, newer to the sport and still relatively youthful, the right speed for Meltzer resulted in wins at big-name 100s like the Hardrock 100, Wasatch 100, Run Rabbit Run 100, Hurt 100, San Diego 100, among others. The right speed has changed for Meltzer in recent years, and he readily admits that fact. Recognizing that change and accepting it might be one of the more difficult transitions for an ultrarunner—especially one that has spent considerable top at the upper echelons of the sport. But you have to remember that Meltzer loves to run. He loves to compete and he’s constantly trying to set the bar higher. For those reasons, I think slowing down over the years has actually invigorated Meltzer. He explained, by way of example, his strategy in choosing to run the Lone Star 100 last month. Importantly, Meltzer doesn’t let his love for running overrule his higher thinking, which tells him that sometimes he shouldn’t run. That’s perhaps the single most important thing that’s allowed Meltzer to continue to perform at a high level over the years: he knows when he should recover and rest instead of run. If Meltzer goes out for a run and feels one of those niggles, he’ll stop. He’ll try to work out the problem and loosen up the problem area. Sometimes he can keep going as planned. Other times, he’ll turn around and walk back, or cut the run short at a slower pace. Meltzer is no slave to mileage numbers, either. His approach to training, in which he takes adequate time to recover and doesn’t overreach with his mileage, is perhaps best exemplified by his preparation for Lone Star 100 last month. Meltzer won the Pinhoti 100 last December and had about three months before Lone Star. He did very little running the first three weeks after Pinhoti. His weekly mileage never eclipsed 65 miles over the next few months. Then, about two weeks before Lone Star, he was on an up-tempo 16-mile run when he felt one of those niggles around mile 11. He stopped and worked on the problem area. He had to make it five miles back to the car but instead of forcing the workout, he ran easy. Then he took the next few days off. Karl came back later in the week and ran three miles before he felt the same niggle again. The next day he made it five miles, and the day after seven, but the niggle kept showing up. Meltzer ended up resting the last three days leading up to the race—he didn’t run a step. On race day, he felt the niggle early on, but eventually it went away and he won the race, the 40th 100-mile win of his career. Meltzer’s take away from that race? While Meltzer is still physically capable of running 100-mile races, he wants to make the most of it. That, too, is what keeps Meltzer going after all these years: he wants to raise the bar higher. Meltzer’s transition from top-level finishes, and wins, at more competitive 100 milers to wins at lower-key events is the byproduct of a realistic outlook on how he can raise the bar. At one time, he wanted to win more 100-mile races in a calendar year. He did that. Then he wanted to win more 100-mile races than anyone before. He did that, too. What can he do next that hasn’t been done before? It seems fitting that Meltzer, now in the 50-plus age group, would look to the Western States 100 for his next opportunity to raise the bar. That storied race was born when Gordy Ainsleigh eschewed the use of a horse and instead tried to see if he could complete the Western States Trail Ride, or Tevis Cup, by foot. He succeeded by finishing in under 24 hours. Ainsleigh was a maverick who, I think, wanted to raise the bar, to see what was possible. I think Karl Meltzer is a lot like Gordy Ainsleigh in that way. Like Ainsleigh, I think we’ll see Meltzer competing for years to come because Meltzer doesn’t like to get itchy. Well, well, well, we’ve come to the part of this article where I get to ask iRunFar’s readership for stories about Karl Meltzer! :) Over the years, have you raced with him or run one of the races he directs? 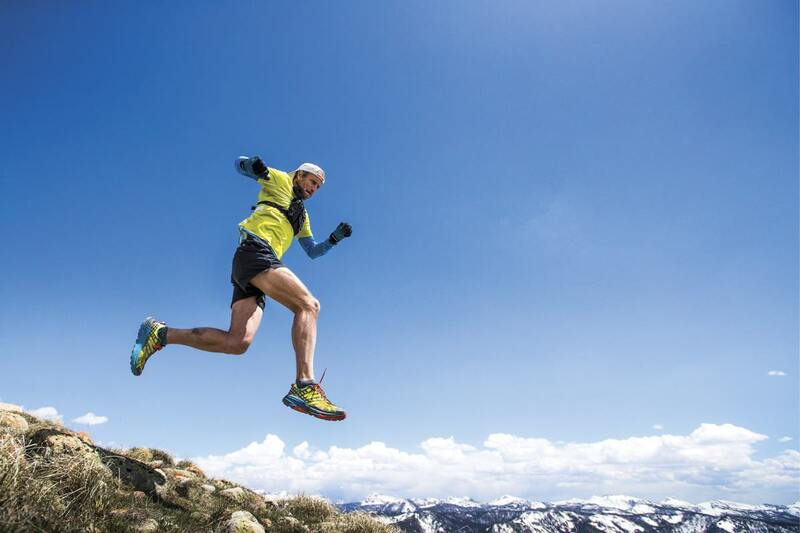 Have you followed his career in trail ultrarunning? Leave a comment to share your story about Speedgoat Karl. This is great. Where can we listen to the full interview? He probably doesn’t want this out, but he’s always been a prince to those of us in the back, just as generous and supportive as could be, treats us like we’re part of it, a little advice and encouragement, great sense of humor and evidently friends with everyone — what more can you ask of a guy? Tough, unpretentious, smart, and straightforward. Many props, Karl. Me: great race Karl! You look like you are running lighter this year. Have you lost weight? Karl: well, I just ran 100 miles.